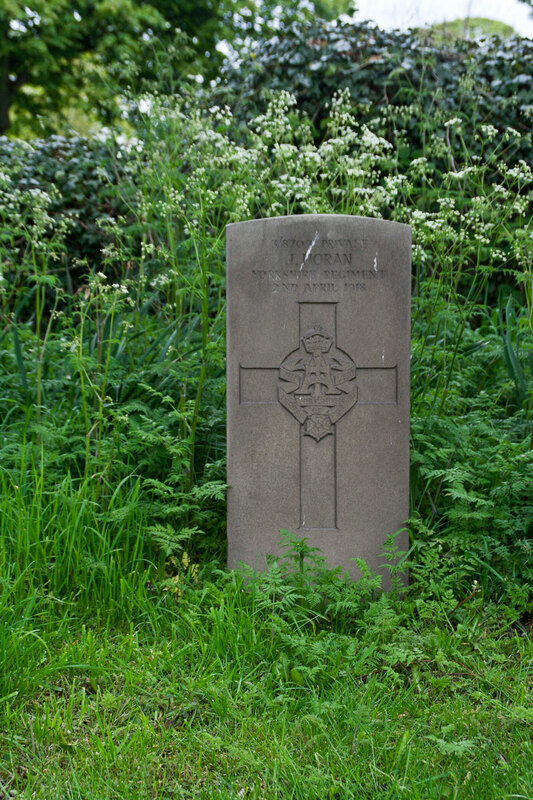 Barnard Castle Roman Catholic Cemetery contains 2 burials from the First World War, one of which is that of a soldier of the Yorkshire Regiment. Select the above image for a larger sized version which opens in a new window. Private James Horan, 3/8703. 2nd Battalion the Yorkshire Regiment. Died 2 April 1918. Aged 38. From other records James Horan was born in Barnard Castle in 1897, and was a general labourer. He first entered active service on 20 March 1915, but there is no further record of his military service. His bother, Frank, of the 1st/9th DLI was killed on 12 April 1916. 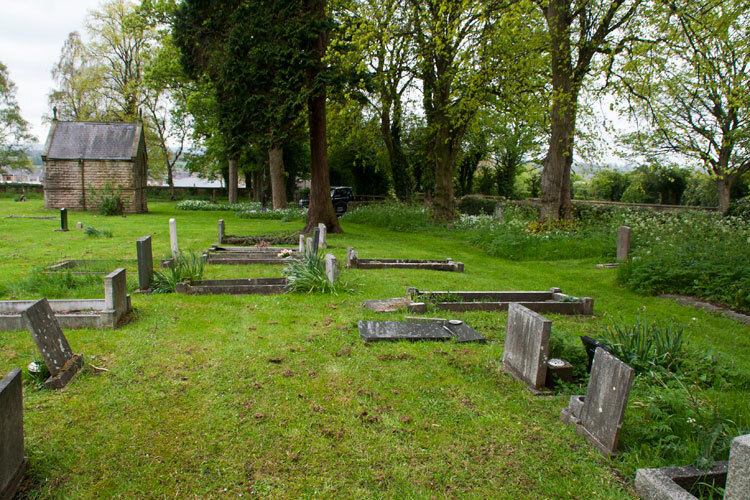 Barnard Castle Roman Catholic Cemetery. 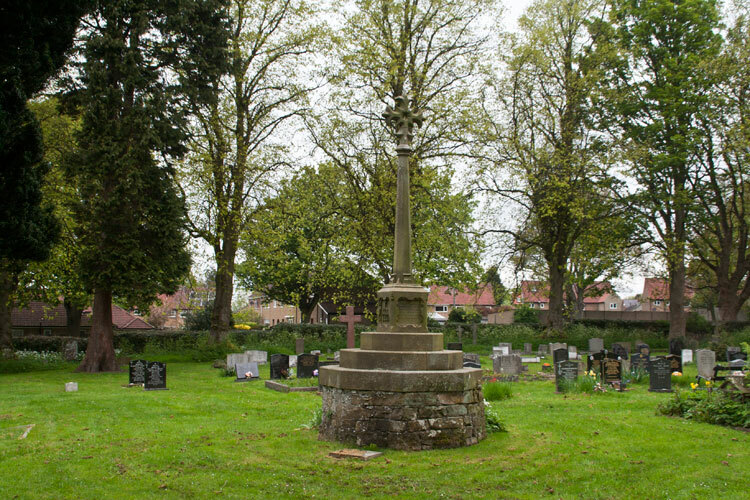 The chapel is on the left and Private Horan's headstone on the right. Barnard Castle Roman Catholic Cemetery. 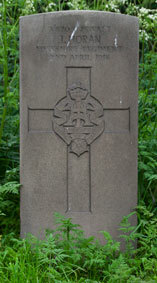 Private Horan's headstone is in the background, to the left of the central cross.